Arthur Eddington was a brilliant astrophysicist. He was one of those rare breeds who are both skilled theorists and consummate experimentalists. Eddington is perhaps most famous for his confirmation of Einstein’s theory of relativity by observing the shift of stars near the Sun during a total eclipse in 1919. He also worked out theoretical aspects of astrophysics, such as calculating an upper limit for stellar size, now known as the Eddington limit. Perhaps his most significant achievement, however, was in bringing general relativity to the scientific masses. 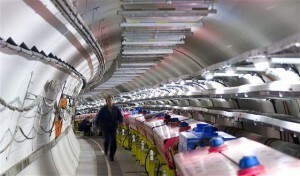 Eddington was one of the first people who got Einstein’s theory. Really got it in a way few did. In 1923 he published a book titled The Mathematical Theory of Relativity, which presented the details of Einstein’s theory with amazing clarity. At a time when tensor calculus and Riemannian geometry were not widely known by physicists and astronomers, Eddington made them clear. It remains a pivotal book on Einstein’s theory. By the early 1930s, Eddington started moving beyond mainstream astrophysics toward the development of a model he called Fundamental Theory. In 1936 he published some initial work on the model under the title Relativity Theory of Protons and Electrons. He worked on the model until his death in 1944, and a summary of his work was publish as Fundamental Theory in 1946. The model is a strange mix of physics and numerology. He introduced a form of Clifford algebra he called E-numbers, and used it to calculate fundamental quantities. His basic premise was that the physical constants of the universe (when expressed as unitless ratios) could be derived by mathematical formalism alone. Some of his ideas are interestingly prescient. In looking at the connection between general relativity and quantum formalism he uncovers a 3-fold structure that hints at quarks. He calculates the number of hydrogen atoms in the universe to be about 1.5 x 10^79, which is in the range of modern estimates for the observable universe. He calculates the age of the universe to be 13.8 billion years, which is exactly the modern value. He also got some things glaringly wrong. 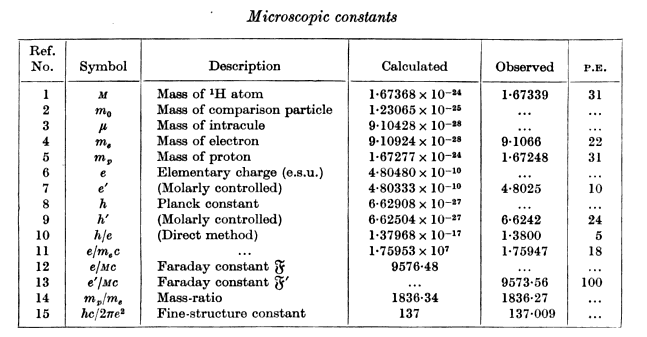 He claimed the fine structure constant was exactly 136 at a time when measurements put the value at about 136. When later measurements put the value closer to 137, he declared his corrected model predicted the fine structure constant was exactly 137. The current value is 137.035999679 give or take a bit. Despite some interesting ideas, Eddington’s fundamental theory lacks the kind of clarity found in his earlier work on general relativity. It is more rambling than wisdom, an idea in search of a solution. Fred Hoyle followed a path similar to Eddington’s. Hoyle’s scientific triumph focused on stellar nucleosynthesis. He wrote the first papers on how heavier elements form in the hearts of stars. He demonstrated how iron could grow more abundant in stellar cores, which explained why iron is more common than other heavy elements. He calculated how carbon could form from helium fusion, and even used his calculations to predict aspects of nuclear structure that were later confirmed experimentally. His work is central to modern astrophysics, gives a foundation to chemistry, and is part of the cannon big bang cosmology. But Hoyle didn’t believe in the big bang. While Hoyle agreed that the Universe was expanding, he felt the idea of a primordial singularity was akin to pseudoscience. In the late 1930s, this was a perfectly reasonable view. After all, we can watch bread rise and expand, but it would be crazy to think it began as a primordial, doughy fireball. In the 1940s Hoyle and others began developing an alternative to the big bang known as the steady-state model. In this model galaxies expanded away from each other, but rather than matter arising from a primordial explosion, it appeared gradually in the depths of interstellar space. In this way the universe would be eternal and ever expanding. It was a model that was just as reasonable as the big bang, and also agreed with observations at the time. 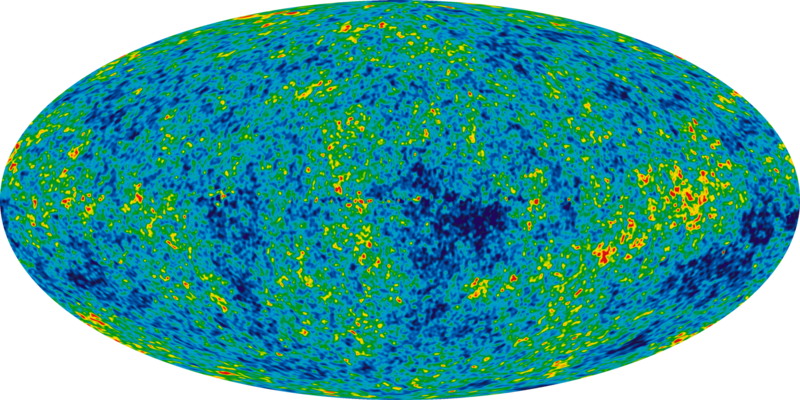 Then in the 1960s the cosmic microwave background was observed. Since such a background was a prediction of the big bang model, the scientific consensus began to swing towards the big bang model. Over the next several decades observation after observation was found to support the big bang. Even by the 1970s it was clear that Hoyle’s steady-state model was untenable. It couldn’t explain the cosmic background, nor other things like the distribution of quasars and young galaxies in the Universe. Rather than accepting the big bang, Hoyle continued to tweak and modify his steady-state model. He never accepted the big bang model. Sometimes in an upper-level class I’ll assign a problem I don’t expect students to solve. It either involves some subtle trick, or requires theoretical techniques they haven’t yet learned. I assign them because I want students to struggle a bit with problems for which the solutions aren’t clear. “Wander into the woods,” I’ll tell them. “Find out what it feels like to be lost and start struggling to find your way out.” It’s a good skill to develop, because often in theoretical research you spend time struggling for a solution, and the answer isn’t in the back of a book. As scientists we learn to wander off into the scientific woods. The great unknown as it were. Most of us only wander a few feet in, careful to always keep looking back at the clearing. A few bold souls wander deeper into the dark, and return with a treasure of discovery. Revolutionary theories come from these clever adventurers. But occasionally someone will wander deep into the woods, never to return to the clearing. Eddington sought a theory where experimental evidence came second to mathematical elegance. Einstein searched for his own fundamental theory, but never found it. Halton Arp went off in search of an alternative to cosmic redshift. Fred Hoyle walked so deep into the woods of his theory that not even observational evidence could draw him out. Many of the “fringe” theories we see are inspired by the work of those who’ve wandered deep into the woods. The vast majority of these models have little going for them, and we should be clear to point out when models are contradicted by experimental and observational evidence. But it’s worth noting that walking into the woods is a part of our humanity that makes us good scientists. We strive to reach into ignorance and pull out knowledge. Often it works, and little by little we become a wiser species. But sometimes it doesn’t. Sometimes even very smart and very skilled scientists get lost. It’s tempting to see the cautionary tales of Eddington and Hoyle and feel that we would not get so easily lost. But if we were to develop a theory that works in many ways, and truly feels like the right approach, would we really discard it so easily? That’s why experimental and observational evidence is so central to science. In the end it’s the only thing that keeps us from getting lost in the woods.